They all say, to start with, a startup has to delve into zero money marketing and embrace content marketing and other inbound marketing techniques. But the fundamental truth is “everything is done at a cost” and there is no free lunch. 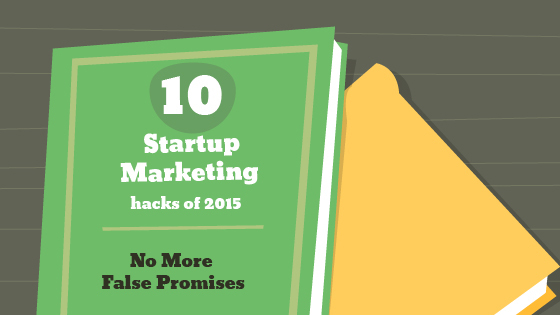 Spending is enormous when it comes to marketing a startup. What do we spend? Lots and lots of time till we get it right. Here are a few hacks to get things right with lowest possible spending. Hack #1: Build exceptional content and resources. You want your customers to adopt your product but doing it without your help is like asking too much from them. The content has to be exceptional in such a way that they cannot find those from any other sources. Find a gap which has not been addressed so far and build your content upon it. Be a knowledge source which is unique. When we say conversion, note that it does not happen immediately. Remember you are not just selling, you are building your reputation and establishing your brand and doing all this by talking to your customers through your website, tweets, emails and many others. Take every aspect seriously from a title that arouses curiosity to the correct thumbnail for the video to colour combinations of your image to the right word to greet your audience. There is no limit to proofreading your content. Keep doing it again and again by involving as many eyes as possible to spot any obvious mistakes. A quick rule of thumb- don’t keep bragging that your content is unique. If it is, your audience will know. The internet has redefined the process of product distribution and providing sharing options had become universal. But why would people share your name? and that too for free! Usage of share buttons is a good idea, but incorporating it in the product itself like Hackpad (which is now acquired by Dropbox) is even greater. With Hackpad, when you just share your completed document with anyone, it automatically lets the other guy to use it. Integrating sharability just makes it easier for users but building a product worth recommending is the first step. If every user recommends your product to new users, your product has an exponential growth potential. Seeding precedes sharing, it is how we introduce to the first set of users. This could be done by rewarding early adopters for using and also incentivizing them for sharing like what Dropbox did. This could simply be done by recognizing them as valuable. Even a perfectly worded email would get the job done. Hack #3: Use A/B testing and keep evaluating. Including and excluding videos and images in your social media content. Check how many people your content reaches and measure the engagement level. Divide your customer base into small chunks and compare them with a control group. This would be handy to test a new feature that you will be introducing. Use two separate landing pages and see the difference in sign up rates and track conversions. Repeat these experiments in various combinations till you get the right mix of marketing elements which would give you the needed results. Market level urgencies: Most enterprise level tools, analytics tools and social media have worked on creating this urgency that the rest of the world uses it and if you don’t, you would be left behind as inefficient. Your competitors use it and you definitely should have to hop on to the bandwagon. Creating scarcity: urge your customers to do decision making immediately by limiting the availability of your product as limited edition, limited alpha etc and asking them to secure a spot immediately. Discounts: discounts are the holy grail to adding users with urgency. Always limit the discount band announce future increase in prices and ask your users to lock in when the prices are low. By creating these urgencies, you give your users a valid reason to pull out the credit card as soon as possible. Hack #5:Don’t plan to conquer the whole world in single war. You might have overlooked on some product features or your product might not address the needed pain points or you might not have got your business model right. This experimenting in a controlled environment allows you to correct all the mistakes, if any. So, always work on a smaller audience before expanding internationally or just choose one local market and one international market in the initial stages and apply your learnings from these markets to the rest of the world later on. Startups waste a lot of time on social media than they intend to. One should wisely use Social media sites and get the targeted outcome. Instead of thinning your spread across all social media sites, try focusing on the sites (even one or two is good enough) which is relevant to you. Look where your customers are. Every channel is different. They vary on the type of content expectation, demography, etiquette etc. Pick and choose the ones that matches your resources and business model. You need to target the right demographic on the right platform. If you mass market, there are people who may resist change. For example, Facebook had profiled its users in an organised way that you will be able to match your customer behavioural study to the users that you target. 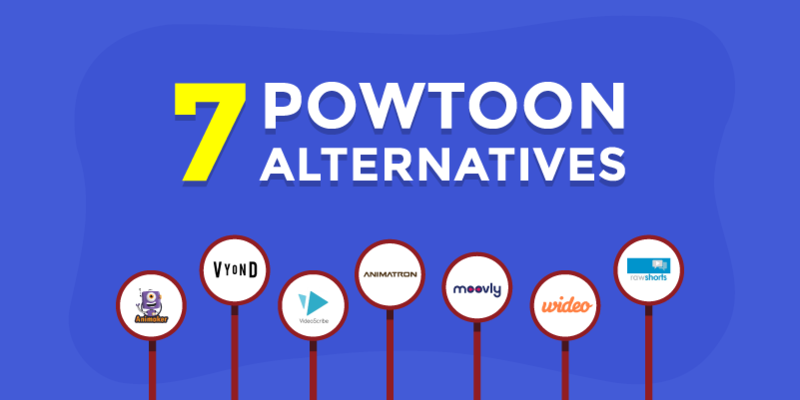 With engagement levels reducing on popular sites like Facebook and Twitter, one should think about diverting their focus to platforms like Reddit and Slideshare. Be more organized and reduce distractions by creating a content calendar. Organize what content, at what frequency and at what time. Do this at least for a month in advance and allocate resources accordingly. Once you create content understand to recycle them by making it suitable for various channels and also by repeating them on the same channels. Allow your followers to catch up. Making your customer feel special is an age old practice which is relevant even now. Never address your user in mass. Try addressing them individually when you say thanks, fix an issue or introduce a new feature. A response will follow. A founder can become the face of the brand by directly conversing with customers either through email or through twitter or the blogs. Allow customers to reach the founders directly and encourage them to engage. Create a forum to discuss on your product. Allow users to help and get help. This will create a tribe of loyal users. This may backfire as a bad idea, if you leave any issue unfixed. As a startup it is easier to understand other startups of your time and getting them into your contact list is easier. All you have to do is do a lot of networking, attend startup events and conferences. Never miss out on an opportunity to chat with a startup founder. Put yourself in the map. Address the most important pain points of startups. To note, a startup founder takes in multiple responsibility and always runs against the clock. Any product or service which saves time, affordable and easy to ease is a quick sell. Communicating the same in every touch point is important. Since, the startups belong to a close circle, better listening is possible from both the ends resulting in better communication. Once the startup is a user, check in with them on a regular basis and keep supporting them. This keeps the communication channels open for any cross selling and referrals. Try barter system. Offer to be an affiliate for affiliation in return. Do not hesitate to recommend your startup users to others if you find them worthwhile. Instead of selling add value by addressing their most noticeable pain points and offering an integrated solution with not just your product but also that of others. Train your sales team in such a way that they understand what to offer a customer at the right time. Recognize your customer’s referrals by creating mentions about them on social media or through blogs, provide them with badges, a free subscriptions or whatever that seems good enough for you. By doing this, you create affiliates in your sales team and also in your clients who do not spread word just for money but also for the recognition and the value addition that you had provided. The biggest challenge for any startup is to show up on the search results when people are looking for the product that your offer. This momentous appearance does not come easy and involves a lot of groundwork. Email Marketing: Organize your email marketing efforts in such a way that they are communicated at the right time. Follow your customers throughout their lifecycle, right from signing up to usage to upgradation. This will enable you to keep them informed about your achievements and milestones and make them feel valuable. The more active you are, the more trust that you build into your customer to be with you. Finally, if you have any experiences or points you’d like to add, please use the comments below. If you have any questions we would be happy to answer them there. 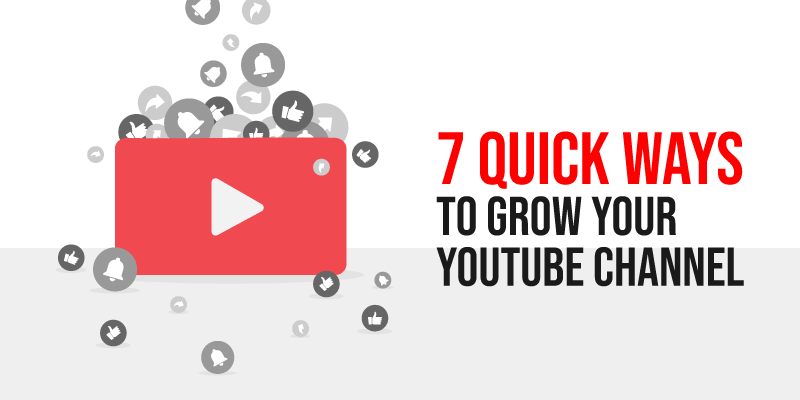 7 Quick Ways to Grow your YouTube Channel!